The new BMW X3 xDrive30d M Sport launched in India. The new model variant, BMW X3 30d is locally produced at the BMW Plant Chennai and is now available at BMW dealerships across India. 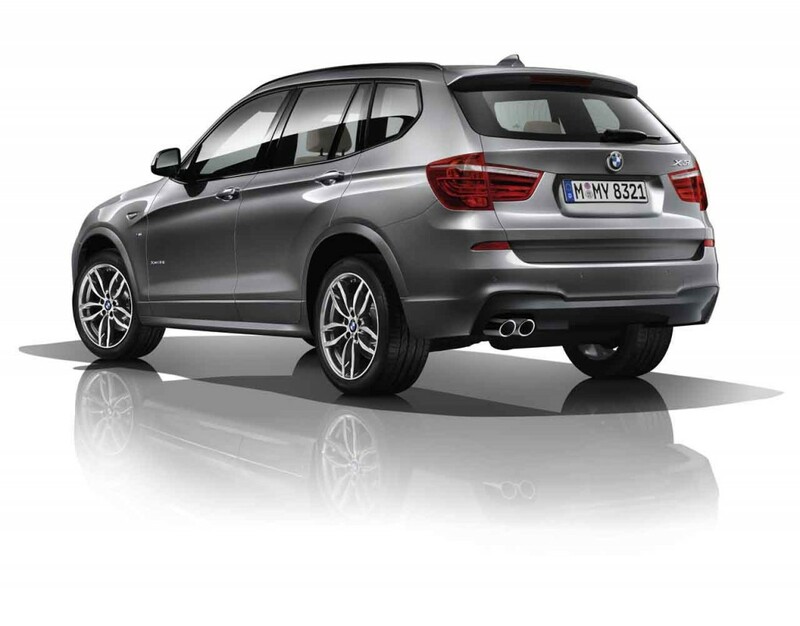 The M Sport package reinforces the agile character and dynamic presence of the BMW X3 even more prominently. Exterior features include the M Aerodynamic package, a choice of six individual exterior colours including exclusive Carbon Black metallic, M light alloy wheels and BMW Individual High-Gloss Shadow Line with design elements in high-gloss Black. The interior elements comprise sport seats for driver, M leather steering wheel and BMW Individual headliner anthracite for a sporty ambience. The BMW X3 is now available in two engine variants: BMW X3 xDrive 30d and BMW X3 xDrive 20d. The new BMW X3 xDrive30d M Sport is available at Delhi ex-showroom price of INR 59,90,000. The new M Sport design package lends the new BMW X3 xDrive30d M Sport a distinct personality, making it look even more robust and muscular. The M Aerodynamic package with front and rear bumpers in the body colour, the diffuser insert in Dark Shadow metallic and side sills with additional lighting edge maximise the car’s presence on the road. The sill covers, wheel arch trim and door trim are in the body colour. The sporty appearance is further rounded out by the characteristic “M” logo on the sides and the BMW Individual High-Gloss Shadow Line with trim strips, side frames, window recess finishers and exterior mirror base and frame in high-gloss Black. The M Sport package interior creates a dynamic and exclusive ambience: sport seats for driver and passenger in cloth/leather upholstery Pearlpoint Anthracite offer perfect lateral support and great comfort. The sporty-dynamic appearance is apparent in the whole car, from the multifunction M leather steering wheel, to the BMW Individual headliner in Anthracite and the M door sill finishers. Another attraction is the Panorama glass roof which provides a perfect view of everything the day has in store.